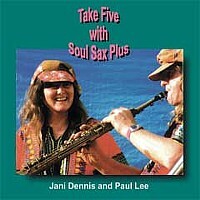 SoulSaxPlus - original NZ saxophone music - CD covers album "Take Five with SoulSaxPlus"
14 popular covers tracks by Coromandel jazz, blues, reggae, soul, latin duo SoulSaxPlus. Featuring Paul Lee and Jani Dennis - for your relaxation and enjoyment..
PAUL LEE: Tenor and soprano saxophone, clarinet, keyboard sequences on Korg T3 Workstation, vocal on 'Spooky'. JANI DENNIS: Keyboard, Yamaha WX7 wind midi controller, percussion, vocal on 'One Note Samba'. 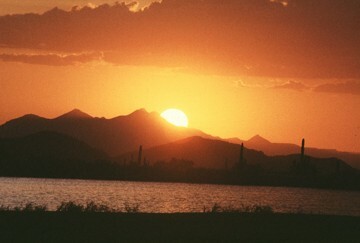 Dedicated with Love to our parents and friends, for your enjoyment and relaxation.